General Health Information From The Hinterland Chiropractic Team On The Gold Coast: What Happens When You Quit Smoking? There is no better time to quit smoking than right now. Believe it or not, in less than 20 minutes after smoking your last cigarette, your body already experiences the benefits of kicking the habit. Your blood pressure, pulse rate, and temperature, for instance, start to return to normal within 20 minutes after quitting. 12 hours after, carbon monoxide level which is abnormally high in smokers decreases as your blood oxygen increases to near normal levels. If you are wondering how long it takes for your body to recuperate from the vile effects of chronic tobacco addiction, read on. General Health Information From The Hinterland Chiropractic Team On The Gold Coast tells you just what happens when you quit. The risk of having a heart attack for chronic smokers is typically 70% higher than for never smokers. But it only takes 24 hours of not smoking for this risk to begin to drop. In the next 48 hours, the sensory nerve endings that were compromised by chronic tobacco consumption start to re-grow. This means that two days without smoking, both your sense of smell and taste significantly improve. In just over a week and you are once again able to appreciate the finer things in life. After 72 hours without having a single puff of smoke, any leftover nicotine will have been completely flushed out of your system. This milestone, however, does not come without a price. With all the nicotine flushed out of your body, nicotine withdrawal is at its all time high. Symptoms of nicotine often include episodes of headaches, nausea, cramps, and mood swings. Within a couple of weeks since quitting, you are now able to perform moderate to intense physical activities without being winded. Around this time, many regenerative processes are happening simultaneously in your body, your blood circulation has significantly improved, your lungs start to feel clear, and you are starting to breathing easier. Within a month or two after quitting, your lungs begin to repair itself. Cilia (tiny hair like organelles in your lungs) that actively reduce the risk of infection have already regenerated themselves. Also, within 3 months after kicking the habit, your heart attack risk has significantly dropped to lower levels. The one year mark of living a tobacco free lifestyle is an achievement in itself. After a year of quitting, the excess risk of contracting coronary heart disease decreases by 50% compared to when you were still smoking. In other words, a continuing smoker is twice more likely to acquire any type of heart disease than you. 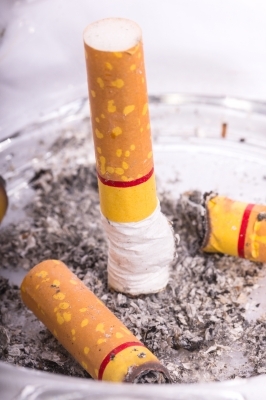 Smokers have always had a higher risk of developing cancers. Among other cancers, cancer of the lungs appears to be the most common among chronic smokers. In fact, chronic tobacco consumption accounts for 90% of lung-cancer cases leading to millions of deaths around the word. Although it takes a decade, but if you kick the habit today, you ultimately lessen your risk of developing lung cancer to half of a continuing smoker’s. A decade after quitting, you decrease the risk of acquiring other forms of cancer which include that of the mouth, throat, esophagus, bladder, kidney, and pancreas. Hinterland Chiropractic is a corrective practice that operates on the philosophy that the human body is a self-regulating, self-healing organism. As such, health and chiropractic experts at Hinterland Chiropractic make it their everyday mission to provide only the very best family healthcare. Part of its commitment is to provide relevant General Health Information On The Gold Coast that optimises the fitness and conditioning of your body.